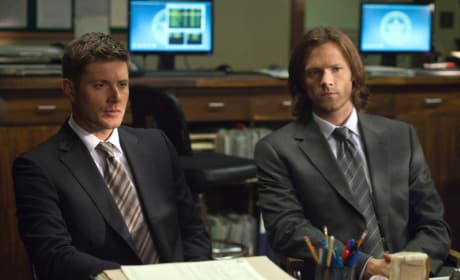 Sam and Dean listen closely in this Supernatural scene. It's from the episode "Heartache." 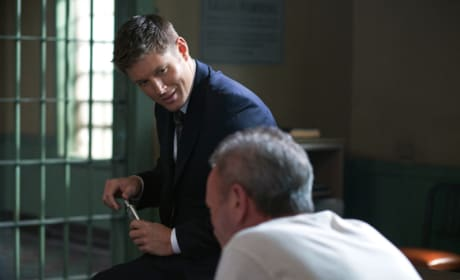 Dean squares off here against Detective Pike. 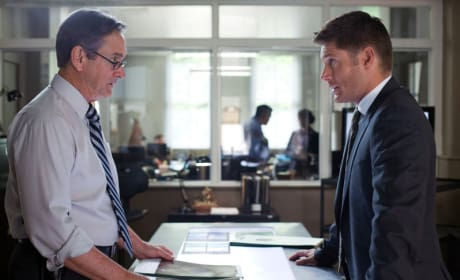 The character is played by none other than Alan Ackles! Liane Balaban guest stars here as Amelia. We do not know the real name of the dog pictured. 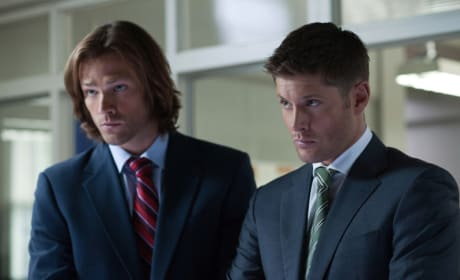 This is a photo from the Supernatural episode "Heartache," as Dean and Sam look into a series of unusual killings.